We are close to the city centre opposite John Lewis and there are plenty of car parks near by with the nearest car parking located behind the shop off Lady Lane. The new larger Hobgoblin branch in Leeds opened in 2010 and is right in Leeds city centre. As well as the full Hobgoblin range of Guitars, Mandolins, Banjos, Free Reed and other instruments, we have an extended range of percussion and a good range of both tutor books and songbooks for various instruments. 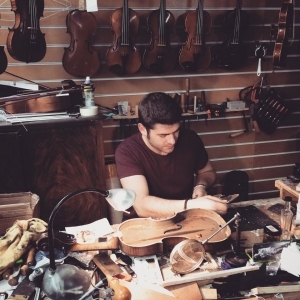 We also have a specialist violin department (The Leeds Violin Shop) with a large range of violins, violas and cellos from the student instruments and upwards. There are plenty of car parks near by. Just to say thanks for the prompt service – Mark in Birmingham has been great and resolved my issue. I’d also like to say that Nico Poratelli at your Leeds store is great as well – which is why I’ve bought two guitars from there! I travelled from Doncaster to the Leeds store to look at resonator banjos, as for ergonomic and physical reasons I was having trouble fretting on my Deering Goodtime Classic and thought that a resonator version may help. Many thanks to Nick for his help and patience. We did find that I was more comfortable with a resonator banjo. Nick did recommend that as I already had a Deering I should probably not risk! an Asian import. Agreeing with his negative recommendation I bought a Deering Goodtime Special. I am delighted with it. Thank You. Spot on customer care. 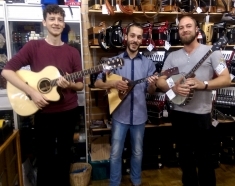 The guys have a really light touch, allowing you to trawl the amazing selection of instruments completely unhassled. Super vibe in this shop that I love. 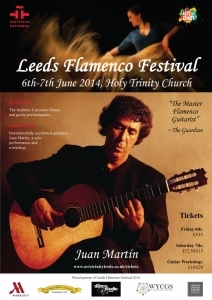 A real gem in the heart of Leeds! Just to let you know we are delighted with the replacement Bristol guitar and really pleased with the service we received. will certainly recommend. Thank you so much. 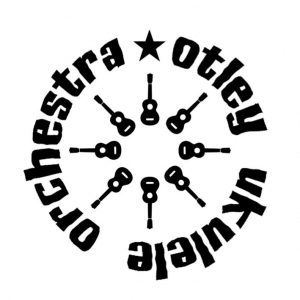 I was advised by all my musician friends to make the journey to Leeds to visit your store. I wasn’t disappointed! 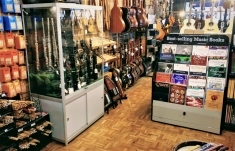 Fantastic customer service – simply the friendliest, most welcoming, well-stocked and all round best music shop I’ve ever been in! Thanks Hobgoblin – am thrilled with my beautiful mandolin!! Friendly staff who are always willing to help! Excellent stock. Massive thank you to Laura and the guys here for helping us out with our broken banjo which we are using in our Panto this year. It was really kind of you to help! Incredibly friendly and helpful staff, great selection and quality stock, good price range and my go-to music store in Leeds! Thanks again, and I will have no hesitation in using your Leeds store for all my guitar needs and in recommending you to others. It is greatly appreciated. Please pass on my thanks to Phil for doing such a great job with my violin and for polishing it, it looks amazing. My family really enjoyed chatting and seeing all the violins. The service received from Sarah and her staff was quite exceptional in every respect. Every enquiry I made, by phone or e-mail, was met with friendly, knowledgeable and helpful advice for which I’m grateful. The melodeon purchased, a Serenellini Saltarelle ,is a great wee box and it’s reassuring to know that any instruments I might need in the future can be bought from you with confidence. My GORGEOUS Simon and Patrick Guitar arrived at 9 o’clock this morning and I thrilled to bits with it. The damage is barely visible and the sound is amazing. Thank you very much for all your help and for getting it to me so quickly. I am astonished and very impressed. I have always known Hobgoblin were good but this is mind-blowing. Thank you very much for the manner in which you dealt with my problem re the Uilleann Pipes. I had hoped that things could have been sorted with the pipes but when they returned with the regulator still broken I lost confidence in the instrument. It makes shopping easy when dealing with professionals who are more than willing to help and who also understand when there is a problem. Thank you once again for the full refund with no question asked and may I also say that I will be passing the good word around about Hobgoblin and the professional team they have working for them. I am writing to thank you for the wonderful service you provided and the beautiful Avalon DS200 you sent me last week. The shop assistant was very pleasant and helpful. Give him a bonus. Also a big thanks to the staff at the Leeds branch who gave me such great advice and encouragement whilst investigating Uilleann pipes. I should like to thank Sarah in particular…There aren’t many businesses these days who are so helpful to their customers, so please accept my sincere thanks to you all.